Manipulator Maxipartner MXC column mounted version provided with a portable baseplate, custom-built for lifting reels of insulating material. 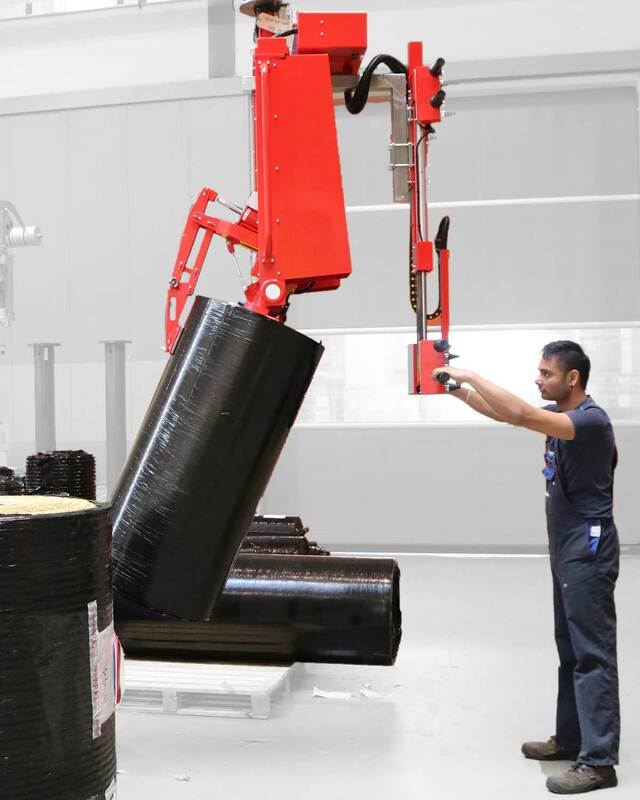 The base-plate allows an easy and fast use of the Manipulator in more workplaces. The gripping system with interchangeable expanding mandrel allows to lift reels of different sizes, a special device prevents the sliding out of the reel during the inclination phase. The multi-position controls are telescopic and allow the operator to position the reel at great heights. The rotation of the manipulator around the column axis is servo-assisted in case of handling of particularly heavy and cumbersome reels. 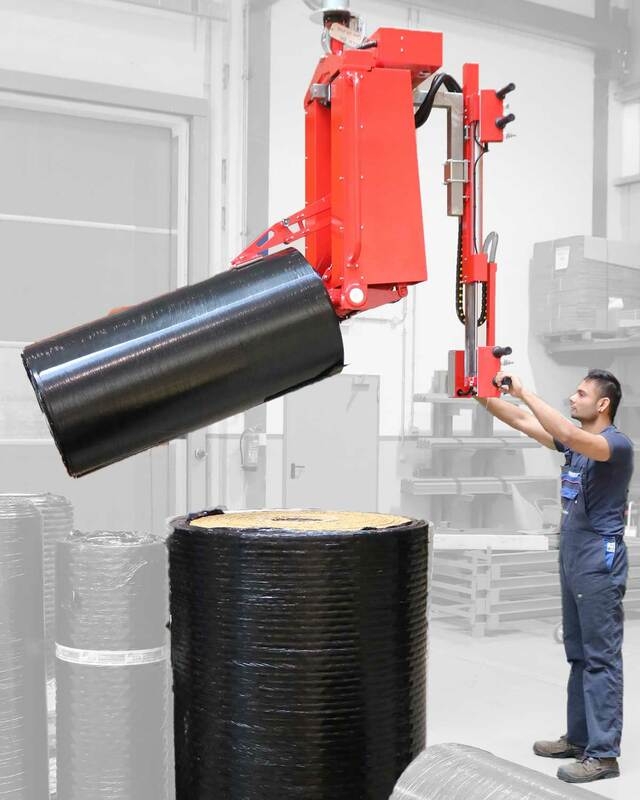 With the manipulator Maxiparter you can handle reels up to 500 kg, with a radius up to 4500 mm and a vertical lift of 2600 mm. Manipulator Maxipartner MXC column mounted version provided with a portable baseplate, custom-built for lifting reels of insulating material.